ReVolt will offer safety improvement opportunities in the shared ride market. Alternet Systems, Inc. (ALYI) (“ALYI”) management is in Kenya this week meeting potential partners and touring facilities with the intention of opening an assembly plant to complete manufacturing in Africa for ReVolt Electric Motorcycles to be sold across the African continent. ALYI has already signed $1.5 million in confirmed orders for its ReVolt Electric Motorcycles to be delivered in Kenya and is working on a deal that could result in an additional $20 million order for ReVolt Electric Motorcycles. Management will publish an out-brief presentation this Friday, April 12th from Kenya summarizing the details of this week’s meetings and the status of the overall deal management is developing that would include a $20 million order. Today, management wanted to publish two images to illustrate the opportunity to provide safe, efficient electric motorcycles with a side car to the shared ride market in Africa. 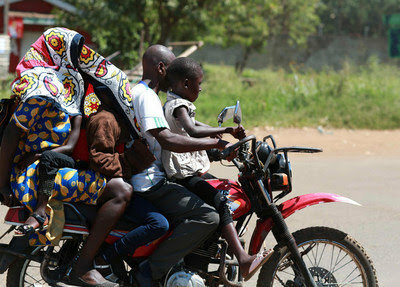 Motorcycle Taxis or “boda boda” taxis are already popular in Africa with much room for safety and efficiency improvements. Uber already offers a boda boda option in Kenya. The shared ride market is forecasted to reach $218 billion by 2025.